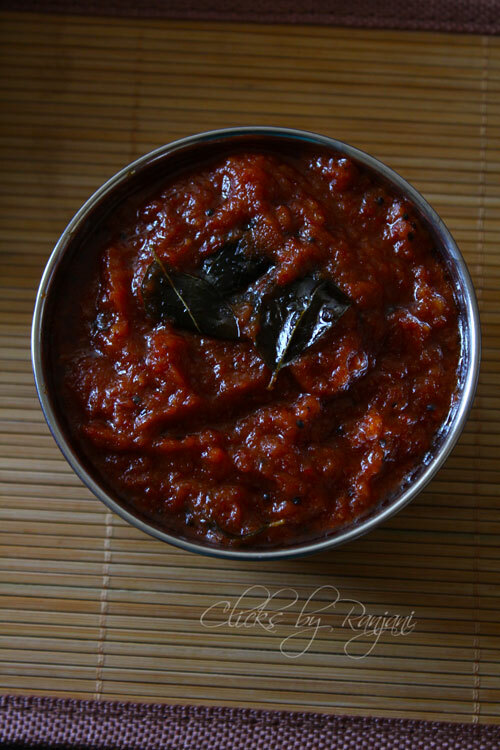 Vengaya chutney recipe / onion tamarind chutney – spicy tanginess filled chutney to make as a wonderful side dish for idli or dosa. The best part I love this chutney is , it has a shelf period for one week if refrigerated. I used to make a batch on weekends. So it will come as handy whenever we out of time to make a side dish for idli dosa. 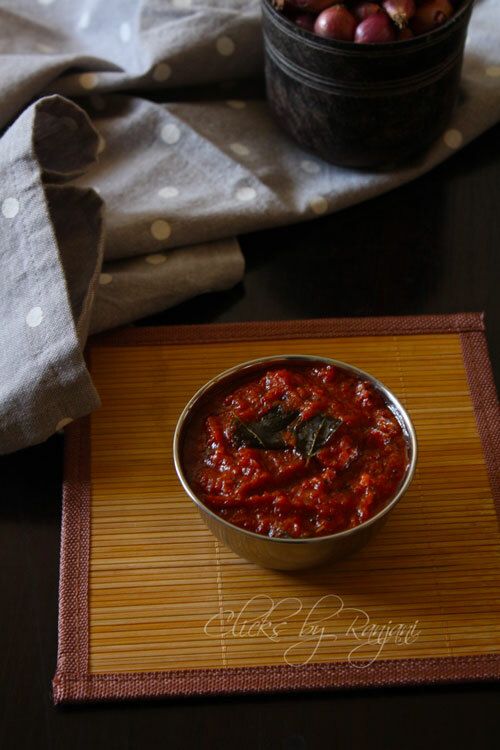 I already posted onion chutney, a method slightly differ from this vengaya chutney recipe. Peel shallots(small onions), wash and grind with red chilies and tamarind to a smooth consistency. Add salt while grinding or seasoning. To season, heat a kadai, add oil, once heated, add mustard and urad dal. After the urad dal turns light brown, add curry leaves and ground chutney. Cook in medium low flame till oil floats on top. Adjust red chilies depend on your need of spiciness. 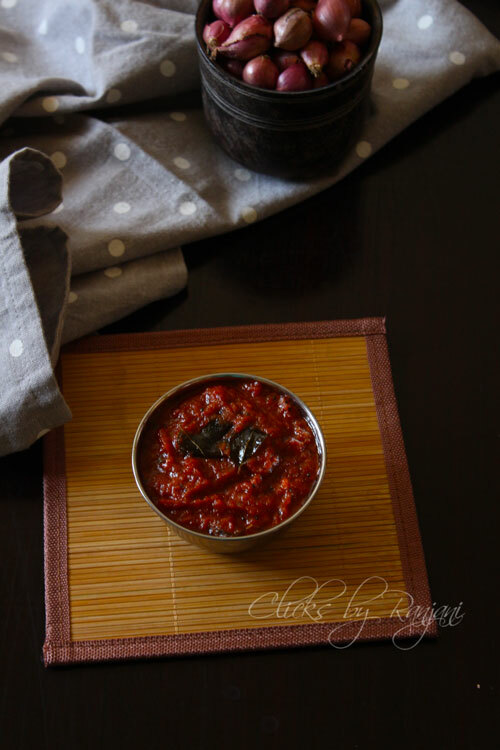 Use of gingelly oil makes this chutney tasty and healthy. You can store this chutney for one week by refrigerating.